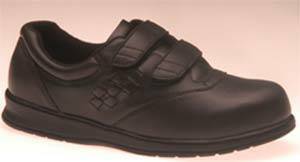 Home » Home Health Care Products & Supplies » Are Diabetic Shoes the Right Fit for You? » Are Diabetic Shoes the Right Fit for You? Are Diabetic Shoes the Right Fit for You? When you're out shopping for medical supplies, diabetic shoes should be on your list too. While you might not realize it, the way that you care for your feet when you have diabetes is going to have a great impact on your long term health. Whether you have stable blood sugar levels or not, you need to start looking down at your toes to make sure you're doing all that you can for your health and for your body. You've already heard from your doctor about the problems of having diabetes. When your blood sugar levels aren't managed, this can cause troubles with your kidneys and with your blood vessels. Both are serious conditions that have probably helped to convince you to take the best care you can of yourself. At the same time, those are the bigger and often more commonly mentioned complications of diabetes. But you are also at risk for nerve damage as well as foot infections that can spread to the rest of your body. Since the nerves aren't able to sense pain and pressure as well as they once did, this can cause simple infections to turn into life-threatening conditions – unless you take the time to care for yourself from head to toes. The good news is that it's actually quite simple to care for your feet when you're a diabetic, though it will take disciple and vigilance. Each time you take off your shoes and your socks, you will want to check for any cuts, scrapes or bruises and alert your doctor to any changes you might see. They may have you take medications to prevent further problems or they might need to see you in their office. Also, you will want to make sure you are washing your feet with warm water to keep them clean at the end of the day. 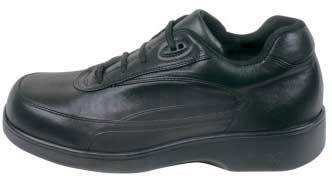 In addition, wearing diabetic shoes can help to prevent the injuries and the infections from happening in the first place. These shoes are specially designed for the foot that's more sensitive to pressure and to pain. Choosing diabetic shoes will help you ensure that your feet's chances of blisters are minimal. If you wear traditional shoes, you might get a blister that you don't notice (especially when you aren't doing regular checks for cuts and scrapes). And if this blister becomes infected, it can turn into a more complicated infection that leads to ulcers and eventually gangrene. Since diabetics have a hard time with infections, things can get out of hand more quickly than with everyone else. This is why it's so important to not only use and wear diabetic shoes, but also to regulate your diet and exercise plans. Getting regular checks by your doctor, taking your medications as indicated and monitoring your blood sugar are also long term solutions for preventing long term and unnecessary problems.